We will be relaunching The STEM GEMS Mentoring Project with a #SHEINSTEM social media campaign that will be unveiled at our August 18th event with details forthcoming. This campaign will be geared towards helping young women and girls, as well as minorities, realize that they can change the perception of what a STEM professional and an academic scholar look like. This campaign will help them to embrace the ever-changing dynamic of the future STEM world. I plan to host panel discussions with STEM professionals who will provide in-depth insight into these young women and give them sound advice while forming mentor/mentee relationships to help foster and develop the future STEM scholar. The future is female and The STEM GEMS Mentoring Project is here for it!! We will be highlighting women and minorities who have soared in their respective STEM fields, featuring them monthly on THE STEM GEMS website as well as featuring local high school and middle school STEM GEMS Mentoring Project Ambassadors and pairing them with those mentors as well. If you know of a STEM Shero, please nominate them today!! industry has to offer. Monreau, who began reading at the age of 2, has maintained Advanced Level standardized test scores throughout elementary and middle school. less fortunate, children born with birth defects, and burn victims. 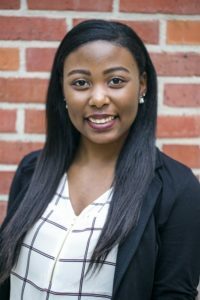 Outside of STEM, Monreau’s interests include the arts, competitive sports, and community involvement. soccer, and has been a member of Baton Rouge Soccer Club’s Competitive travel team since 2016.
member of her school’s Student Council. 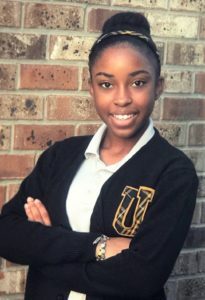 After graduating from LSU Lab School, Monreau plans to attend Howard University in the fall of 2024. Why did you choose to attend LSU? LSU has always felt like home. LSU is the place my parents met and where my older brother chose to go to school. Every time I thought about another school, my heart kept going back to LSU. LSU is also one of the best schools in the state for pre-med. The research opportunities and staff here are phenomenal! Lastly, LSU has one of the best Barnes and Nobles in the business. As a book lover, that was a huge plus! What makes you a unique candidate for the President’s Millennial Scholars’ Program? I care so much about everything. I want what we do in President’s Millennial Scholars’ to be great. As the first cohort of this program, we should be the best, the brightest and the most caring. We can pave a way for a bright future, not only for ourselves, but also for the future cohorts of this program. What impact does the financial support provided through this scholarship have for you? The financial impact of this scholarship is so great for me and my family. My brother is nine months older than me and also attends LSU. Having to put two children through college is hard on my parents. This scholarship helps to go toward my fee bill and my books. How do you hope the President’s Millennial Scholars’ Program will enhance your college experience? The President’s Millennial Scholars’ program will enhance my college career by bringing me and my cohort together. The program has given me a chance to truly connect with like-minded and passionate people who will help me to grow and grow with me. The program will give me something that I can’t gain in the classroom: experience. Hopefully, we will continue to go on excursions ranging from a vast majority of fields, cultures and lessons. What are your academic and professional goals? My academic goals are to excel in the classes that I am enrolled in. I want to really take in the knowledge and carry it with me throughout life. After college, I plan to attend medical school and become a physician. I am most interested in sickle cell research and care, so I am leaning towards hematology. Professionally, I would also like to write young adult fiction or science fiction and add more diversity to literature.